Magic crystals that can come together to provide unlimited celestial power would still be out of question, but the new discovery is still highly significant. Just before the final showdown between Thanos and the Avengers begins across theatres, scientists and astronomers appear to have made a recent discovery that gives us a look at crystals formed in exoplanets that have a fundamentally different chemical and physical constituency. These extreme crystals, which are formed at the core of planets in far-off solar systems, undergo conditions very different from what is found on Earth. For instance, the atomic elements that make up these crystals are formed at nearly 40 times the pressure of Earth’s atmosphere. Scientists believe, these crystals are the ones that may potentially hold key answers to the formation of life across the universe, and in turn, how life might prevail across conditions different from that of Earth. However, very little is known about these crystals as of now. Astronomers, researchers and scientists across the world know pretty much nothing about their chemical and physical constituency, how and when they are formed, and how might they react or behave when exposed to varying atmospheres. The core reason for this is the technology required to observe them at close quarters, and synthesise them on Earth to study them better — there simply is no technology adept enough to recreate such atmospheres and conditions on Earth, in order to observe them more closely. These extreme crystals can be our gateway into understanding how planetary surfaces and chemical reactions work, and how that fundamentally differs from how atmospheric and surface pressures work on Earth to create a condition that is ideal for life to thrive. The planets in questions are also very far away, which essentially means that observing them is a difficult affair. Furthermore, these crystals often exist in worlds that have rocky surfaces, but are gigantic in size — a phenomenon that the forces of our solar system do not allow to exist. 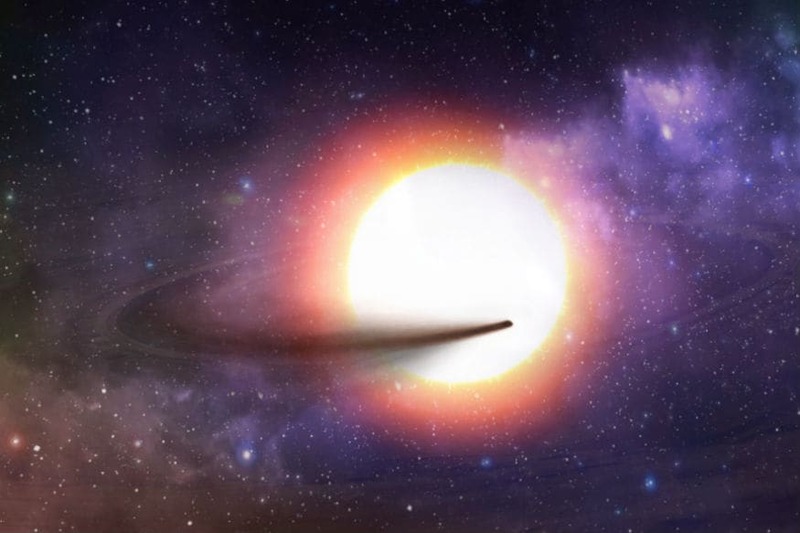 In such star systems, small planets with gaseous surfaces exist in abundance, hence giving us a glimpse at a very different network of forces, which can potentially be ideal for life to exist in forms that we do not know yet. Then comes the question of surface properties, chemical configuration and magnetic fields — how do these forces come together in those worlds? Right now, we simply do not have the technology that can replicate, synthesise and observe such phenomena on Earth in controlled environments. As a result, hyper-advanced optical tools can only observe these factors to a specific extent, beyond which even the best of our technological arsenal fall short of making deeper observations. The big obstacle to developing such technology is that simply replicating the heat and pressure conditions in a chamber will not be fully able to judge how these crystals might work — at such conditions that prevail in these exoplanets, chemical elements behave differently than they would on Earth. These atomic configurations can hence lead to producing hitherto unexplored chemical behaviours, which may give these crystals highly specialised and different abilities. For instance, they might be intense energy reservoirs that can inflict force and other natural aspects such as heat and velocity, and may even be cornerstones of alien life, which possibly functions very differently from how life on Earth does. Thanos does not seem too far away now, does he? In fact, it is highly probable that these extreme crystals in faraway worlds hold the secret to how life functions in different areas of our universe. They may also be able to signify surface movements and plate tectonics, and the basic factors that are required for life to prevail may also be contained within it. They may not open up time-travelling warp holes and portals, but our technology may be able to potentially demarcate if they are indeed the guardians of secret life on planets that are presently beyond the possible, instantaneous reach of mankind.